Day 1: Arrive Manila On arrival in Manila, you will be met and transferred by our local representative to your hotel. The rest of the day is free to explore the city on your own. Overnight in Manila Day 2: Manila City Tour Breakfast at the hotel. Enjoy a day of revelry with a tour of the biggest and brightest entertainment districts in the metro. Begin with a visit to Resorts World Manila which is an integrated resort and casino complex carrying world-class brands in entertainment. Here you can take advantage of wide shopping selections, a variety of gastronomic choices, topofthe- line casinos, and other activities like catching a show at the Newport Performing Arts Theater. Follow this up with a trip to Bonifacio Global City - formerly the national headquarters of the Philippine Army until it was turned into the retail and dining mecca that it is now. End the day on a meaningful note with a visit to the Manila American Cemetery to view the beautiful 152-acre field that serves as a memorial to American soldiers of World War II. Then proceed with the tour of Makati. Makati is undoubtedly best known to be the center of the emerging Philippine economy, but this city has many cultural treasures in its repertoire of attractions. Begin your Makati Cultural Highlights tour with a brief visit to the Nielson tower, an aviation landmark right in the middle of the Metro. Then you will embark on a tour to get to know more about the history of the country Day 3: Depart Manila for Boracay Breakfast at the hotel. You are free to spend the day at leisure until the designated time that you will be picked up and shuttled to the airport for your flight to Boracay. Upon arriving in Boracay, you will be shuttled to your hotel. The rest of the day can be spent exploring the island at leisure. Overnight in Boracay. Day 4: Boracay at Leisure Breakfast at the hotel. Spend two days in the world famous island of Boracay known for its azure horizons and hot parties. Soak up the sun’s rays while enjoying the wide array of extreme sports on and off the water, like parasailing, cliff diving, ATV rides, and zorbing. In the evening, venture into the other stations of the island in the evening to get a taste of the famous Boracay party scene. 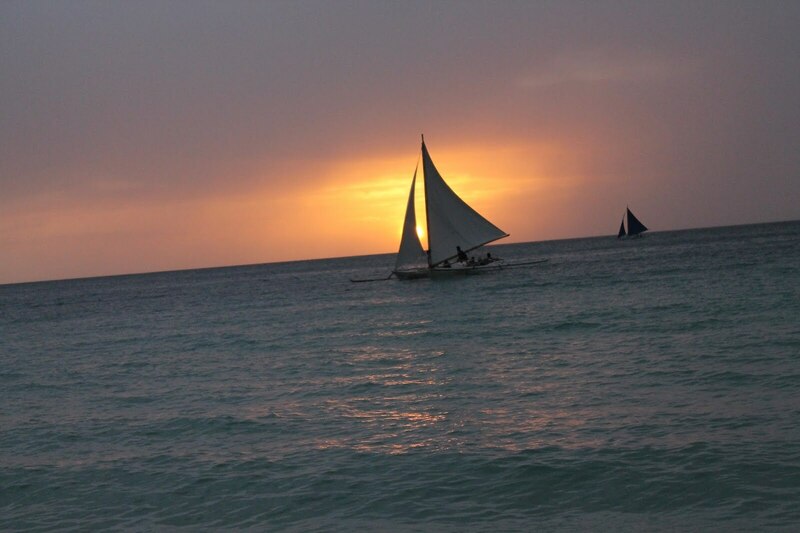 Overnight in Boracay Day 5: Boracay At Leisure Boracay At Leisure Day 6: Boracay Departure You are free to spend the day at leisure until the designated time that you will be picked up and shuttled to the airport for your onward flight.